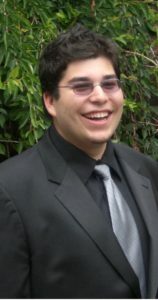 Nicholas Welsch Preciado is a 2D artist, designer, and 3D modeler pursuing a career in digital gaming and media design. Since he was a kid, Nicholas Preciado has had a passion and natural talent for art. He has always loved drawing, sketching, painting, and writing and is full of creative ideas and a wonderful imagination. Along with his passion for art and design, Nicholas Welsch Preciado is also an avid gamer interested in both video games and table top games. He attends many of the local conventions in his area and has met with numerous big names in the gaming world. At PAX Prime, a gaming festival in Seattle, Washington, Nicholas was 1 of 5 individuals selected to play against the CEO and Creators of League of Legends. Playing with and meeting these individuals helped Nicholas launch forward in pursuing his career path. Soon after, he started game testing for Elder Scrolls Online (Beta), one of his favorite series. Pursuing a career in game design, Nicholas Welsch Preciado is excited to combine his two greatest passions of gaming and art into one dream come true. Outside of his professional career, Nicholas Welsch Preciado holds a number of other interests in sports, literature, television, and more. As a kid, Nicholas played a variety of sports including tennis, soccer, swimming, and karate. He is also a fan of the Seattle Seahawks football team. Nicholas also enjoys following numerous television series and finding interesting films and shows on Netflix. One of his favorite series is Game of Thrones. The Harry Potter series is a favorite of his as well, having read all the books and watching all the movies on numerous occasions. Other interests for Nicholas Preciado include anime, mythology, and japanese manga. To see and learn more about his personal interests and more about his passion for art and design, follow Nicholas on Tumblr: http://nicholaswelschpreciado.tumblr.com/. Nicholas Welsch Preciado is always looking for new creative ideas and inspiration from other artists. He is constantly looking to learn more and gain new experiences to build a personal life and professional career he is truly passionate about.